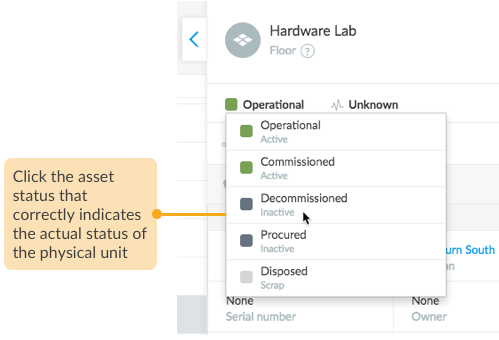 As assets or sites descend from one phase to the next in their lifecycle in real time, a simultaneous update in Loc8 keeps your records in sync with the actual physical units. 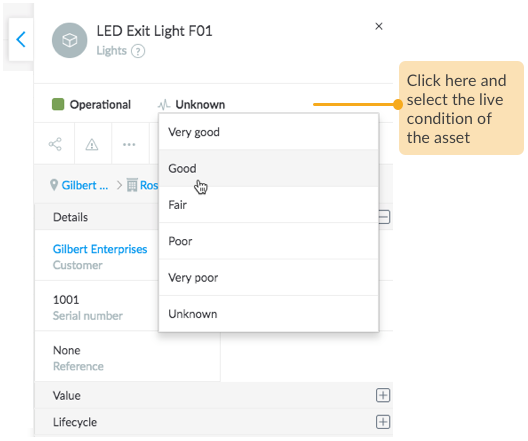 Asset status and their operable condition enables you to make the right decisions at the right time for those assets. 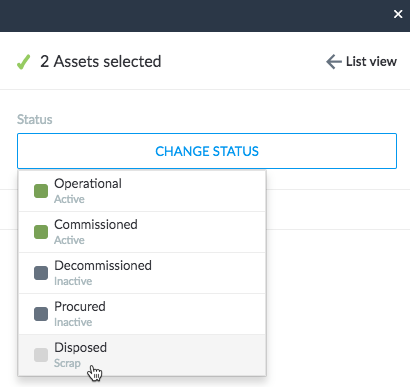 Loc8 provides you the commonly used terms (Procured, Commissioned, Operational, Decommissioned, and Disposed) for the different asset statuses. You have the flexibility to edit them or create your own set of statuses to suit your business terminologies. To know more about asset lifecycle, please read Introduction to Assets and Sites. Check the status displayed on the asset inspector and change to the next appropriate status. With bulk status change, changing status for large number of assets and sites is as quick as it is for a single asset or site. 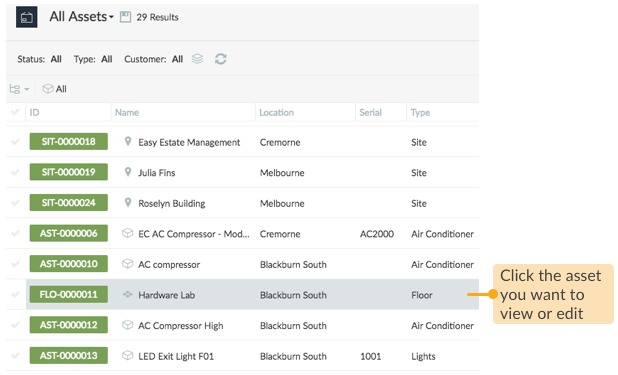 Select the required assets or sites and change their job status in one go. 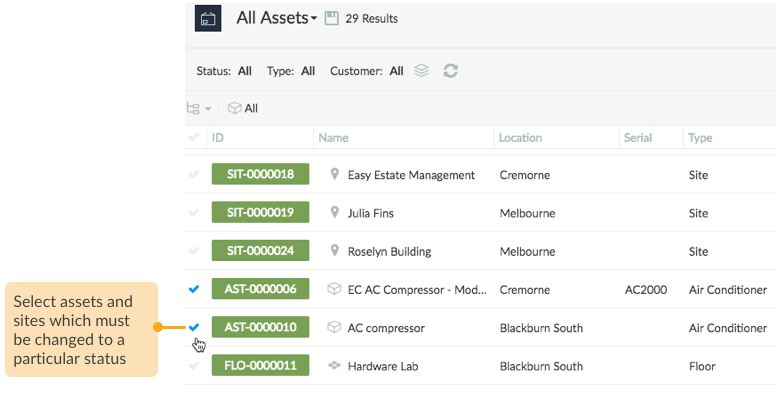 In addition to defining assets by their status, you can capture their live conditions for the benefit of identifying assets by their health on site and planning out appropriate course of action. For example, you may consider renewing all Operational assets with Poor condition by the end of this financial year.